While the transition for companies to the paperless office is well underway, the requirement to accept physical mail is going be around for a while yet. Try as we might, not everyone will embrace the change quickly. For others, physical mail is a security or policy requirement in their field of work and therefore essential to business processes. Because of this, mail or post rooms are not going anywhere for the time being. However, this does not mean the transfer of the mail items to electronic versions for delivery to staff need be difficult or slow. Most organisations in this situation will have a mail room per office or building. Each item is opened and scanned individually on a flatbed or MFP scanner. From there, the electronic version is examined by an administration person to determine the correct recipient, as well as where it must be routed, stored and recorded in a Content Management System. This also usually involves alerting the recipient, perhaps by email or IM that the new mail is ready for them to view. Beyond this, the administration person or the mail recipient may have to extract other information from the mail item and manually input that into the same CMS system. This is complicated by the fact that, in some organisations, the recipient will also require to see the physical piece of mail, perhaps for a security reason, therefore a chain of emails and messages must make its way back to the post room for someone to deliver the item. This is all without mentioning mis-delivered or rejected mail, tracking mail items and other requirements as the documents travel through your electronic and physical processes. All of this can be addressed by a Betasoft Centralised Digital Mailroom solution using Autostore and Openforms 360 from Nuance. Expanding on the mailroom solution mentioned here, the Centralised Digital Mailroom offers more features, tracking, control and, most importantly, automation. The automation includes intelligent OCR processes to classify and extract data from the mail to lookup data such as, who sent it, reference numbers and other identifiable information where to route the mail even if that person’s name appears nowhere on the document. The Centralised Digital Mailroom will scan all pages of each item of mail looking for any information it can find and compares it to a database which can be extracted from your current CRM system. The solution also offers a validation client allowing administration staff to view all, or only mail the solution is unsure about routing (based on a confidence factor) to confirm what has been extracted and therefore where the mail should end up. The step also allows the validation user to flag a message to the mail room should manual delivery of the physical mail be required. 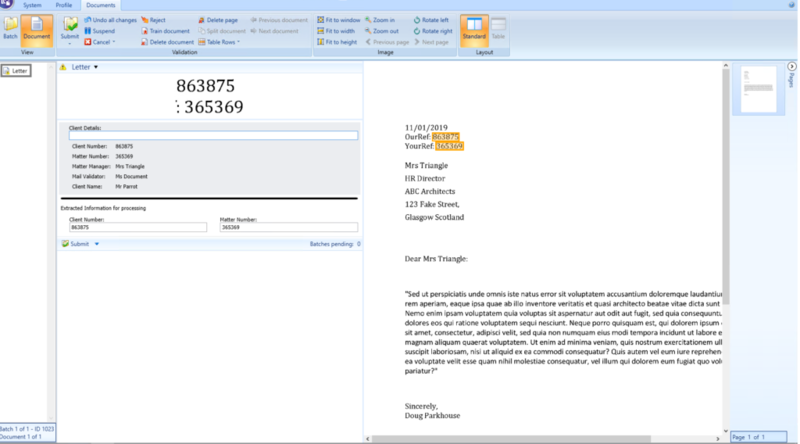 Mail that the system is confident with after extraction can be auto-validated and automatically sent to the recipient by-passing validation all-together if desired. The solution can be monitored using the OpenForms 360 built in system monitor allowing for a quick glance to the see where mail items are in the process and identify and resolve any situations where mail flow has stopped such as absent validators. As the “Central” in the name suggests, this solution can be installed in a central location. If there are multiple offices receiving mail, electronic scans can be transferred over secured VPNs to the central location for processing. This avoids setting up multiple systems in each office saving resources and time. The solution is also fully scalable to suit the size or any mailroom requirements. 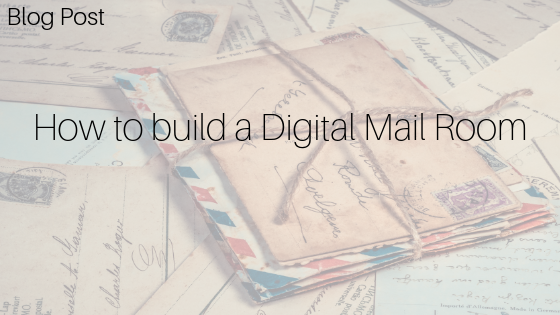 Talk to Betasoft today to find out how to take advantage of a Central Digital Mailroom solution in your office. 0 Comments on "Centralising Management and Automation of Physical Mail"